As with WWE 2K18, Express Interactive and 2K had a preview event for WWE 2K19 ahead of its release next month. The event was yesterday and in addition to playing a near final build of the game on a PS4 Pro, I interviewed Mark Little once again about my experience playing the game, changes, additions, and what to expect in the future. Look out for the interview in a day or two. WWE 2K19 is the second game to be made only for current generation systems and while there definitely were some teething issues with 2K18, the team has definitely been able to further polish the game with 2K19. This year’s release has more modes, more wrestlers, and improvements across the board alongside the return of Showcase mode but what has really been interesting is how much better the core gameplay and interface has been in my time playing WWE 2K19. On first booting it up, you’re greeted with a much better designed menu and interface that is bringing WWE another step closer to the polish we get in NBA 2K games. Small things like the superstar select have been given an overhaul. The superstar select now uses a stylised version of each superstar rather than their character model which looked bad last year. Visually, this definitely feels a lot better than 2K18 so far. The actual wrestling in and outside the ring is better as well. This is partly due to much better performance almost all the way and better animations. One of the new features I got to try was the Payback system. This reminds me a bit of how some fighting games give you a boost to some ability when your health is low as a last resort action. Over here you can choose from various things like Poison Mist to a Low Blow as a last resort attempt to turn the tide of the match. Commentary in game felt a bit better and less irrelevant than it usually is which is always nice. Visually, there were a few inconsistencies in this build. While some wrestlers will always look better than others thanks to facial capture not being available for all due to a variety of reasons, the difference in many cases is pretty staggering. It almost feels like some wrestlers’ character models are from a few years ago. This extends to costumes and the interaction between various cosmetics like hats and the opponent or the turnbuckle. 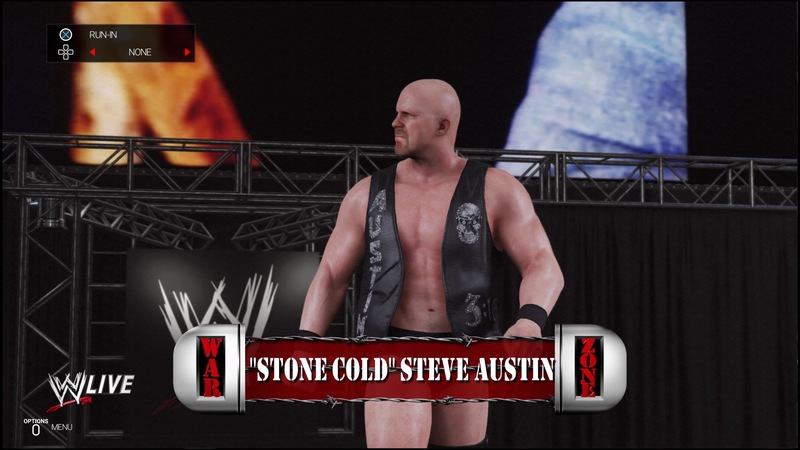 The backstage brawl had performance trouble as well when the two superstars move too far away from each other causing the splitscreen mode to get triggered. Performance outside the Backstage Brawl match was good. This even carried over into a Hell in a Cell match that is a lot better than last year’s version. As with each new entry, 2K19 boasts the largest roster with more than 200 superstars from various WWE eras to satiate fans from across the board. Since the showcase this year makes a comeback with Daniel Bryan, there are multiple variants for his superstar. It is good to see 2K and WWE still include the American Badass variant for The Undertaker. I still remember that Judgement Day match where he returned from an extended break in a new avatar. Overall, WWE 2K19 being the second game built for current generation systems only definitely shows. It feels more polished across the board. I hope some of the visual issues are addressed because we are getting closer to getting a WWE game from 2K that is actually comparable to their NBA 2K games and a fun WWE experience overall. I’m definitely looking forward to playing the full game closer to release.